Is the Transaxillary Breast Augmentation Incision Right for Me? If you're unsatisfied with the appearance of your breasts, you may be considering breast augmentation. Breast augmentation can help patients achieve their desired bust line, creating shapelier, fuller, natural looking breasts. Although many patients are focused on implant size, it's also important to consider the incision type. During patient consultations, Dr. Craig Foster explains the different types of incisions, including the transaxillary breast augmentation incision. 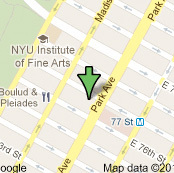 We invite you to contact our Manhattan, NY practice to find out which incision option is right for you. Patients interested in keeping the breasts free of scarring during breast augmentation may want to consider the transaxillary incision technique. When implants are placed through a transaxillary incision, the incisions are made in each axilla, or underarm. This prevents scarring on the breasts. However, there will be some scarring under the arms. Once the incision is made, a small channel is created to allow the implant to move from the incision to the breast. A pocket will also be made either behind the breast tissue or under the chest muscle to house the implant. The implant can then be placed through the transaxillary insicion and into the breast. When the implants are properly placed and adjusted, the incisions will be sutured closed, completing the surgery. Patients who have undergone breast augmentation can expect to feel some pain and discomfort in the first few days after surgery. Swelling of the breasts can also be expected. Pain and swelling should begin to subside within the first week of surgery. Patients should also follow all post-operative instructions to ensure proper healing and care of the incisions. After transaxillary breast augmentation, most patients will be able to return to their daily routine within a few days. With that said, patients should avoid heavy lifting and raising their arms during the initial recovery phase. No incision scars on the breasts: With the transaxillary incision technique, all incisions are made within the underarms, leaving the breasts free of scars. Reduced risk of interfering with future breastfeeding: Woman who plan to breastfeed at some point after undergoing breast augmentation may want to consider the transaxillary incision technique as it is less likely to result in damage to the mammary glands than some other incision types. Breast asymmetry: Placing breast implants symmetrically can be more difficult with the transaxillary approach, making it important to choose a highly skilled surgeon, like Dr. Foster, to prevent breast asymmetry. Transaxillary incision sites cannot be reused: Transaxillary incision sites cannot be reopened in the event implants need replacement or revision. Instead, a second incision will need to be made. Nerve damage to the hands or arms: As with any surgery, transaxillary breast augmentation incisions carry a minor risk of nerve damage, specifically to the hands or arms. For answers to your questions about breast augmentation or to discuss your treatment options, we invite you to schedule a consultation with Dr. Foster.